I am GDF, some may recognize me, I want to see how the work comes along. I am starting out on trying to sprite, but I think i could use major improvement. Re: Hey, It's me GDF. Editing, that's like recoloring right? 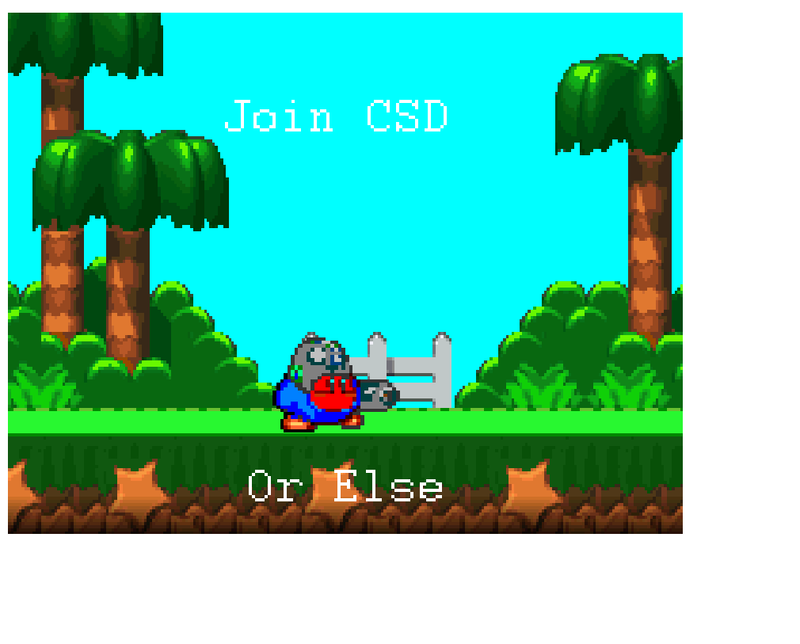 i suk at recoloring... lol..
but idk any godly spriters..
Nah, You have to make something for CSdProductions. what my problem with this was, the white sides. okay, i put a link. and i adjusted the white sides. gdf wrote: I am GDF, some may recognize me, I want to see how the work comes along. I am starting out on trying to sprite, but I think i could use major improvement. yeah, weren't you the guy, with the thing, that had that one thing.